The most expensive coffee in the world is produced with the help of what creature? 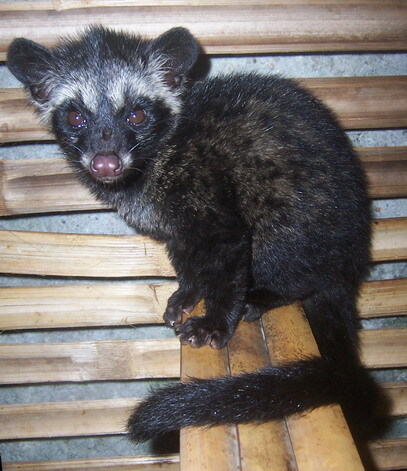 This cat-like creature, native to Indonesia, Mayasia among other countries in the region, selects and swallows the highest quality coffee beans. It only digest the outer coating, leaving the seed to be collected from its droppings. Digestive enzymes in the ______ are thought to alter the flavor, producing "deep, chocolaty undertones" that are highly prized. Correctly name this creature when you go into the roastery and receive a 2oz bag of Vienna Coffee Company's coffee. In"Weekly Deal", "coffee beans", "coffee", "vienna coffee company"